The time I spend in the office is generally filled with programming from Rinse, NTS, Berlin Community Radio Radar and other online accessible stations that consistently bring out quality shows, deejays and guests. The truth of that matter is that it’s only possible to pay attention to the show at hand for maybe two thirds of its run time due to meetings, conversations and other necessary distractions. Working in the independent music business allows for a constant stream of listening opportunities and a similarly minded audience to bounce ideas and opinions off of, but the glut often leads to passive listening. It’s inopportune and unavoidable conundrum. But it’s also why long form radio shows are so perfect for the office environment, a two hour ride that allows the listener to hop in, out and off without missing the narrative. 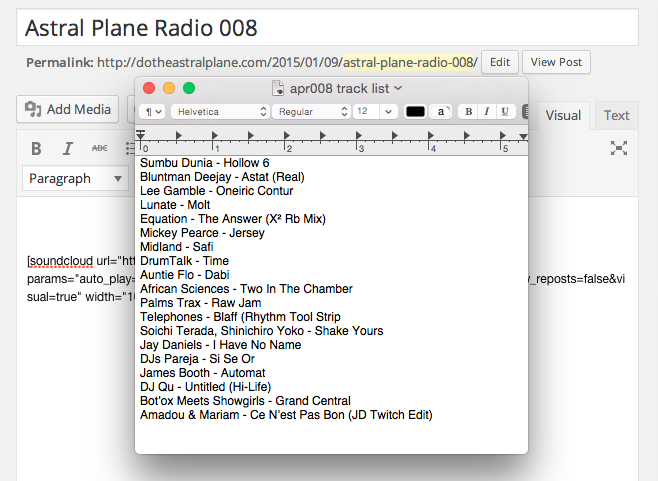 Astral Plane Radio hasn’t really fulfilled that function to date and our more theme-oriented mixes are more pedal-to-the-floor affairs, but 008 was recorded with a long form listening experience in mind. 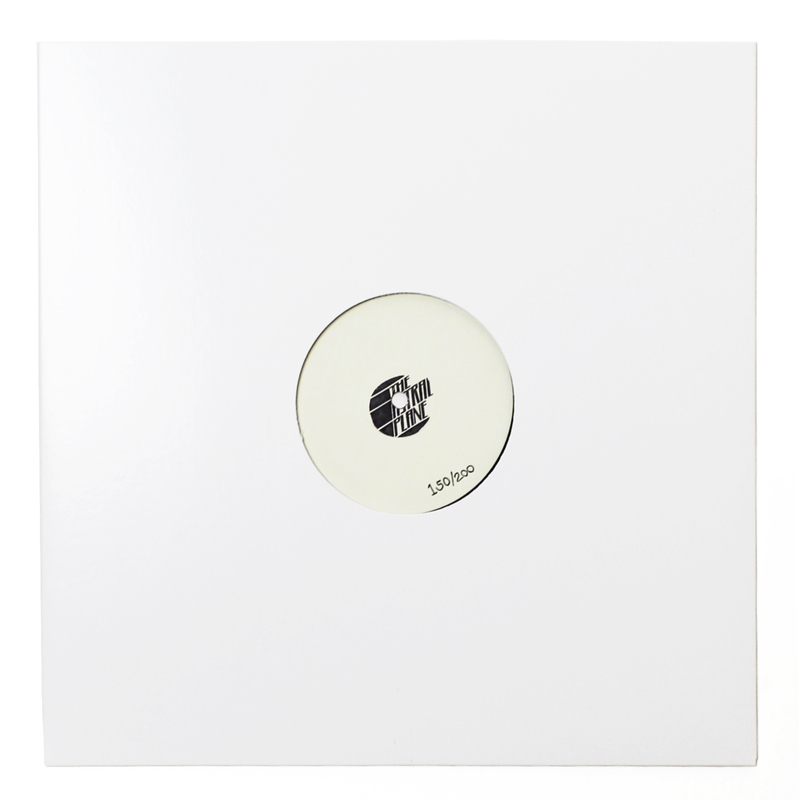 As our tastes go, it’s percussive and full of infectious, polyrhythmic material from Auntie Flo, Afrikan Sciences and Lee Gamble. It’s also a bit slower than most of our mixes, eschewing grime and East Coast club forms for more straight forward house and techno. A bit of an adventure for the Astral Plane DJ Team, but one that befits the radio format and might just be optimal for office play. Enjoy.